The archive of Professor George Gow Brownlee, FMedSci, FRS, is now available online. Professor Brownlee was born in 1942 and took his degree and then a PhD at Emmanuel College, Cambridge, studying under double Nobel Laureate Fred Sanger at the Laboratory of Molecular Biology (in 2014 he published a biography of Sanger). He worked for the Medical Research Council in Cambridge from 1966 until 1980 and then came to Oxford as a Fellow of Lincoln College and the first E.P. Abraham Professor of Chemical Pathology at the Sir William Dunn School of Pathology, a chair he held until retirement in 2008. 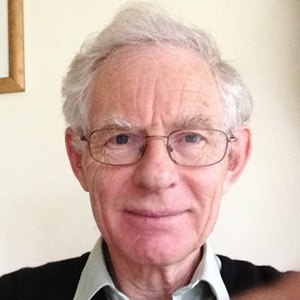 Professor Brownlee’s research interests were in molecular biology and he and his group made significant discoveries in sequencing RNA and DNA during the early days of that field of research. In 1977, his group discovered the existence of pseudogenes – abnormal, mutated genes – which are now known to be ubiquitous in the genome of all organisms. After 1980, Brownlee became more involved in applied medical problems, and managed to isolate the clotting factor IX gene (also known as Christmas factor), which is present in people with haemophilia B. This led to improved treatment for people with the disease. He went on to work on gene regulation in influenza. In 1999 he and Ervin Fodor, whose contributions feature heavily in this archive, were able to isolate recombinant influenza virus, which led to improved vaccines for children. These lab notebooks, which span most of Professor Brownlee’s career, form a rich scientific record that interestingly covers failed experiments as well as the experiments that led to major discoveries. And as a bonus, the catalogue is based on Professor Brownlee’s own descriptions of the notebooks, so it offers a level of detail that couldn’t be replicated by anybody else. The archive is likely to be of interest to scientists in the field as well as medical historians.